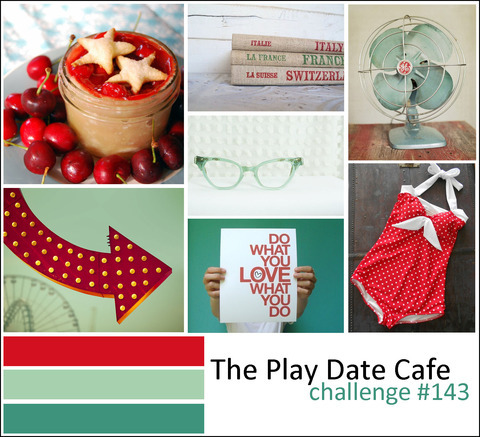 It's an exciting week for The Play Date Cafe. 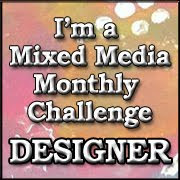 It's the first challenge for all of our new designers. And, we get to show off our new watermark created for us by the uber talented Jacqueline Miller! This week our colors are Cherry, Mint Julep, and Jade. I've had this super cute new Lawn Fawn stamp set for a while and when I saw these colors, I knew it would be perfect for this week's color story. I hope you will join us this week and make a project with these fun colors! I can't wait to see what everyone comes up with! And, one lucky winner will win a $20 shopping spree from the fabulous Stop and Scrap. And that's not all!! 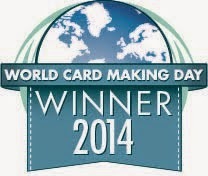 ALL players and visitors to my blog can get a 10% discount from Stop and Scrap - use the code PDCC10. adorable card~great use of the color story!! Those ants are adorable and so is the gingham! What a fun, summery card! Love the mix of summer fun and gingham! Adorable creation. 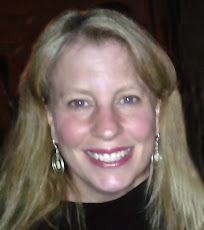 Donna! what a perfect theme for these colors, so cute. Donna, your watermelon are just SO cute! What a fun, summery card. Hope you are having a super fun vacation!! Beautiful Card Donna. 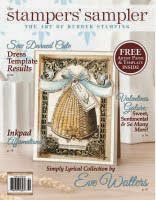 Love the sweet image and the papers you used. Totally too cute Donna! The gingham is perfect! Love those little ants...I hope you'll link up at 52 Card Pickup this week! I absolutely love your take on this color challenge, Donna! 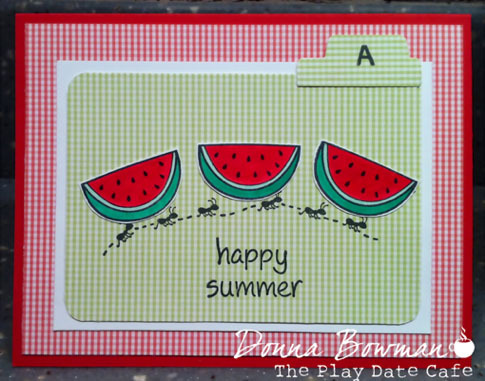 PERFECT card for summer! Yay, I does love me some Lawn Fawn. I 'need' this set now lol. Great card!